Famed for its skyscrapers, steel industry and status as a hub for manufacturing, Pittsburgh isn’t exactly somewhere that screams “nature,” right? Fair enough. There’s perhaps no better stereotype of a concrete jungle than the aptly named Steel City. That said, Pittsburgh is actually full of surprises when it comes to the great outdoors. This rings true for locals and out-of-towners alike, granted you know what sorts of activities to look out. 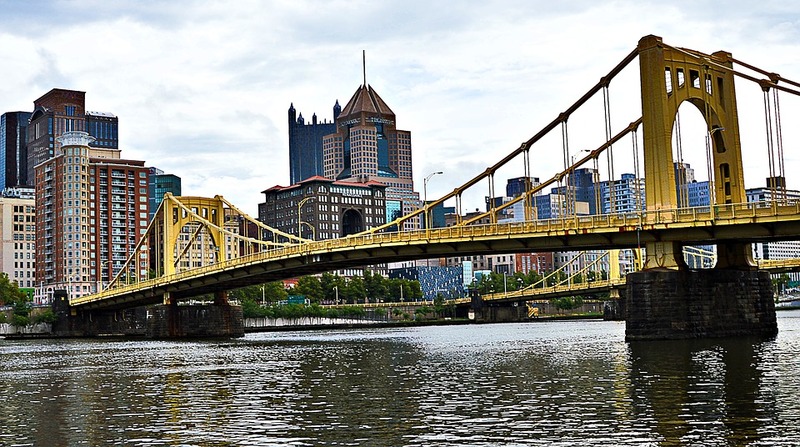 Whether you’re tired of the traditional city scene or are considering Pittsburgh as a stop during your next road trip, consider the following five things to do that will allow you to get some much-needed fresh air. Pittsburgh and its surrounding don’t disappoint in regard to parks and campgrounds. Those looking to escape the confines of the city have plenty of options whether they’re looking to simply relax in nature or are hungry for adventure in the form of trails or water sports. Interested in intense hiking on the trails of Moraine State Park? Want to see the Waterfalls at McConnells Mills? Again, Pittsburgh a real treat when it comes to its park system and options for campgrounds. You can find an RV rental in Pittsburgh and its surrounding suburbs with ease, meanwhile tent camping is likewise available as many of the same nature spots. Often cited as one of the city’s top attraction, these gardens located in the heart of Schenley Park need to be seen to be believed. Endless rooms and indoor exhibits to explore showing off exotic plants, there’s a reason why the Phipps Conservatory is considered one of the “greenest” places in the country. In terms of must-sees, make sure to check out the Desert and Broderie Rooms. There are tons of tours out there to see Pittsburgh proper and its historical sites, but don’t overlook the opportunity to do so on two wheels. Between Pittsburgh’s best biking spots and the myriad of biking tours available downtown, seeing the town via bike is a nice alternative to a traditional tour. For photographers hungry for an awesome photo op, scaling Mount Washington is a must-do. While the uphill incline might be challenging for some hikers, the end-result is more definitely worth it if you need that epic skyline snapshot. In addition to the views, there are plenty of things to do around Mount Washington once you’ve made the trek. Although perhaps not the most traditional of outdoor activities, catching a game at PNC Park or Heinz Field are absolute blasts whether or not you consider yourself a sports fan. Generally speaking, it’s probably easier to snag Pirates tickets given the frequency of their games: check sites like StubHub to see if you can nail down a good deal. Just because you’re visiting Pittsburgh doesn’t mean that you can’t spend some time in the great outdoors. With these destinations and attractions in mind, you can experience the best of what the city has to offer without staying cooped up during your trip.